Neo4j is well known Graph Databases and Cypher Query Language (CQL). It is written in Java Language. 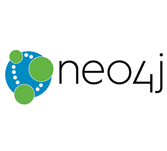 This tutorial will explain you about the basics of Neo4j, Java with Neo4j, and Spring DATA with Neo4j. we have divided this tutorial into sections such as Neo4j Introduction, Neo4j CQL, Neo4j CQL Functions, Neo4j Admin, etc. Each of these sections will have topics related with simple and useful examples. This tutorial is mainly designed for beginners to understand the basic to advanced concepts of Neo4j. This tutorial will give you good understanding on Neo4j which will help you to get a higher level of expertise. Before starting with Neo4j tutorial, users should have basic knowledge of Database, Graph Theory, Java, and Spring Framework.